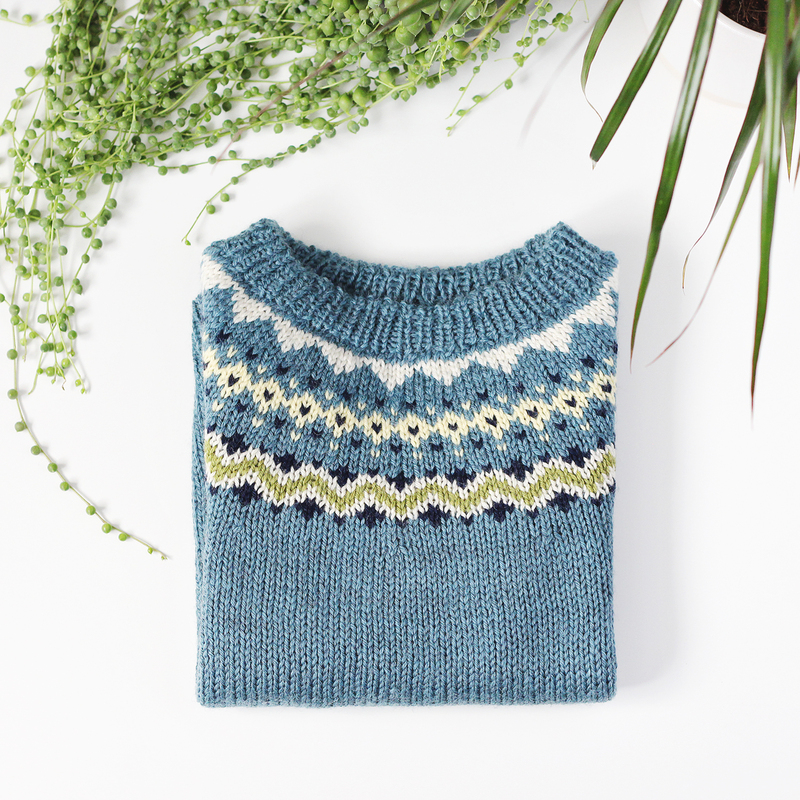 I can tick one thing off my August on the needles post, and it’s the last thing that I cast on (the Dog Star sweater from Tin Can Knits). You guys, this took a week to finish! 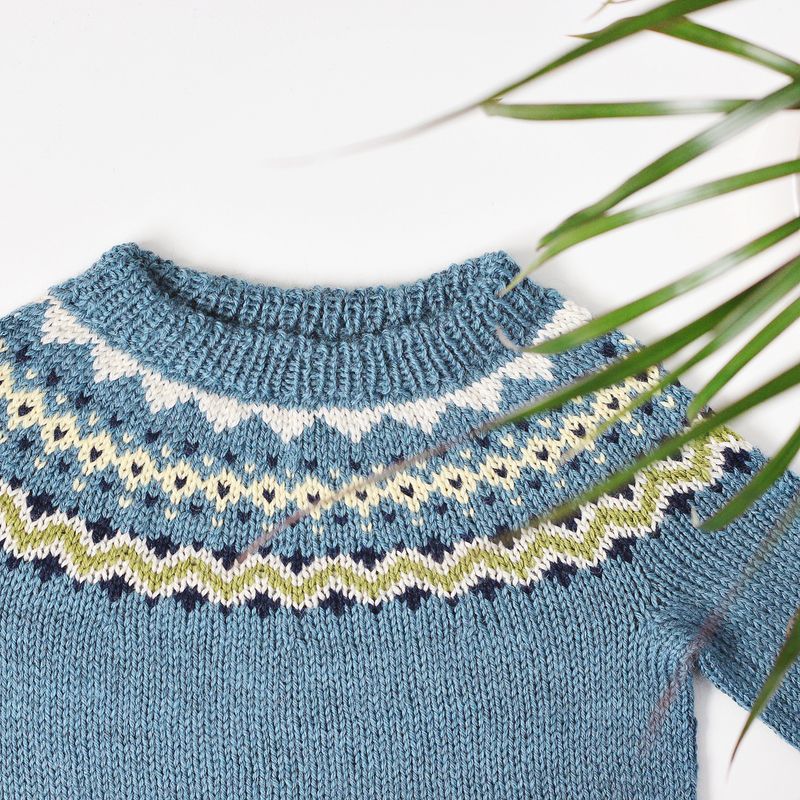 I’d started it hoping for a quick win, but I don’t think I realised just how quick it would be – the cast on was August 2nd, by August 9th I’d finished knitting the neckband, and I sewed it down on the 10th (it was too dark to do it the night before!). A sweater in a week… pretty much. I was expecting it to be fairly fast since it’s size 2-4 years, but honestly, I thought it would spend at least a couple of weeks on the needles since I tend to dawdle with my knitting. What I failed to take into account here is how keen I was to get to that tasty colourwork yoke! Stranded knitting is one of my favourite techniques, and the pull of that colourwork yoke made the body absolutely fly by. 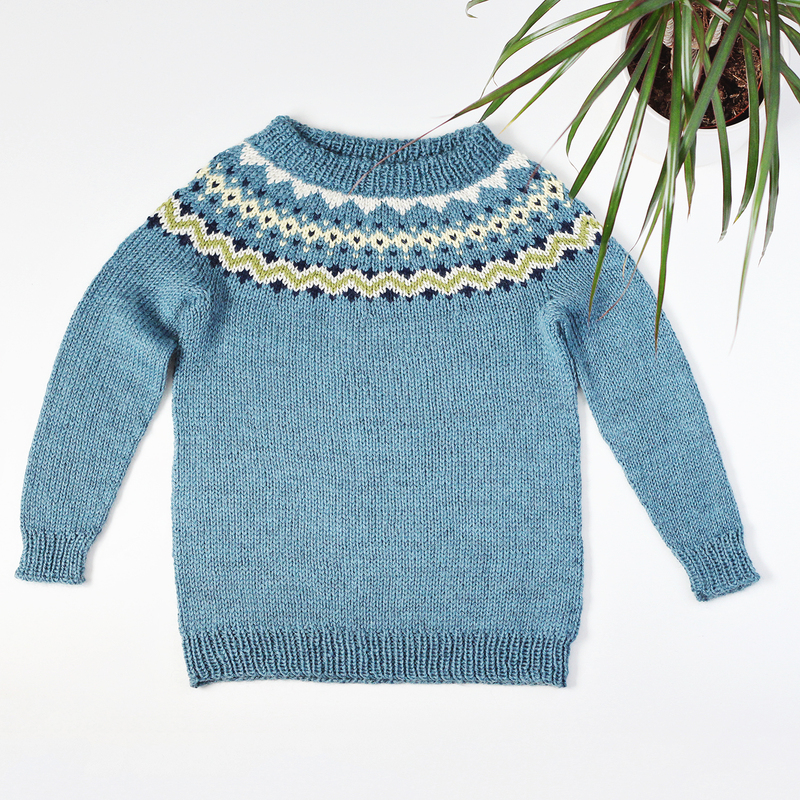 Karen Templer recently asked people whether they preferred knitting the sleeves or the body. 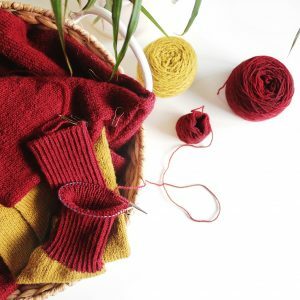 I’m firmly Team Body (I’m a big fan of endless reams of plain knitting, where I can just zone out and enjoy the process. Give me all the stockinette stitch!) so I loved getting to the yoke, which is arguably the most exciting part, and just being done. Being a Tin Can Knits pattern it was brilliantly written, and the only change I made was to knit a folded neckband because I just like the way they look. I was a bit unsure if it would work on a neckband that was knit straight on instead of being picked up and knit, but I think it turned out well. I did want to do something more interesting with the yoke section, though. I knew I wanted to use more than a single contrast colour, so after a dig around in my stash I picked out some colours to play around with. There are two sneaky little three colour rounds in there that I hadn’t realised when I was charting out the colours, but it actually wasn’t too tricky to work and I’m so happy with how the colours all play off each other. Although I’d charted the colours out I hadn’t actually swatched them, so I was really excited to see that they did actually work together! 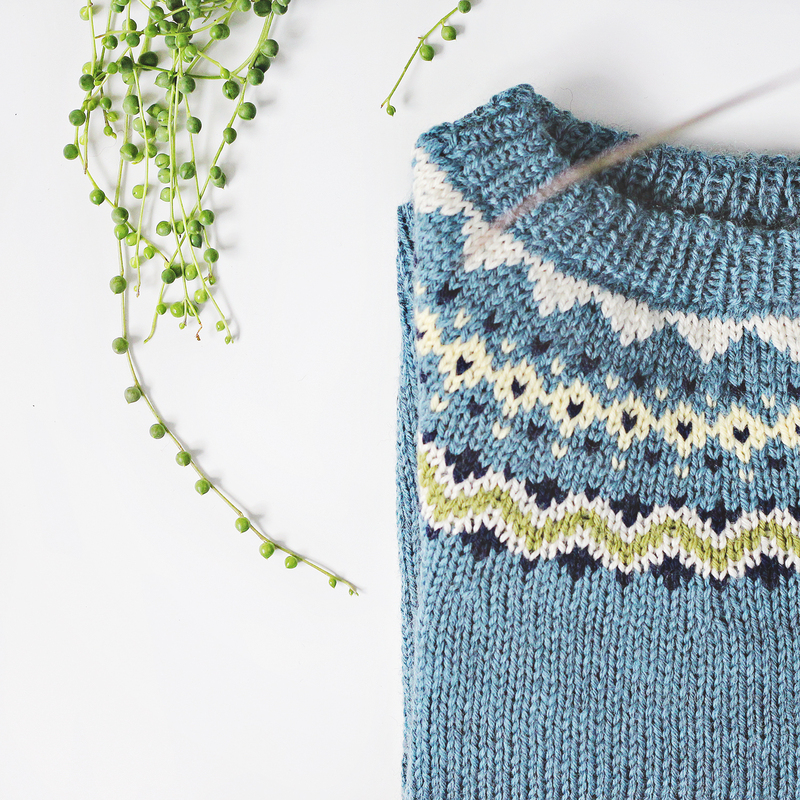 Wow, the sweater turned out beautiful and you knit it in a week. That is amazing. Beautiful knitting! Thank you so much, Andi! 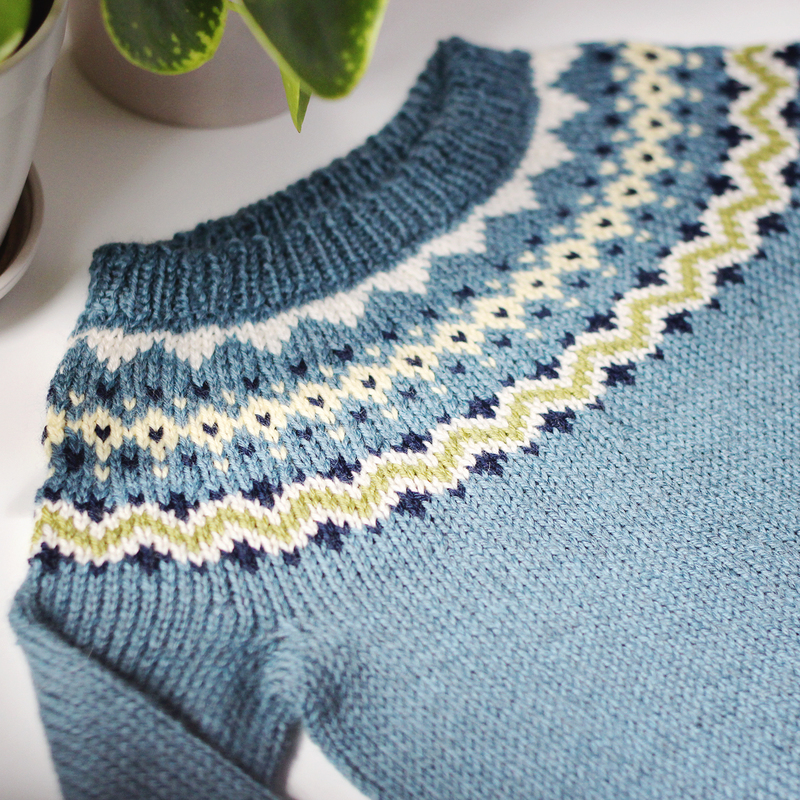 I still can't quite believe it only took a week – it really flew off the needles!